The Master of Orion reboot (which contains the subtitle "Conquer the Stars" to differentiate it from the original 1993 Master of Orion I guess) that was in Early Access on Steam has now finally been released. Why is this big news? Well any gamer born after the 1980s probably doesn't know what all the fuss is about but the original Master of Orion and its 1996 sequel, Master of Orion II: Battle at Antares, were classics of the sci-fi 4X genre. In fact, the term 4X probably wouldn't exist if it weren't for this series. Master of Orion's impact on PC gaming in general means it easily deserves a place on the Choicest Games Top 100 (and it does, at #63) and Master of Orion II is also on the list at the #51 spot. So you can understand why some people have waited with bated breath for the final release of this game (even though it was available as Early Access on both Steam and GOG since February). However, there has been some cause for concern with respect to the development of the game, especially the fact that Wargaming.net, a publisher/developer usually associated with MMOs, and a relatively unknown, Argentinian, indie developer called NGD Studios were the companies behind it. However, there's also been some welcome news too especially with respect to the stellar voice acting cast with talents like Mark Hamill, Michael Dorn, Dwight Schulz, John de Lancie, Alan Tudyk, Fred Tatasciore and Kari Wahlgren. I've been keeping track of the reviews while the game was in Early Access, leading up to the game's release and unfortunately reviews seemed to be mixed on both GOG and Steam. The more negative reviews about the game tend to comment about how the full release of the game cut features introduced during Early Access (e.g. "minor races") and compare it to a boring mobile game. Other negative reviews mention about the poor real-time combat that lacks any feedback, the needless micro-management, the lack of content and many bugs (and we're not talking about Klackons here). Positive ones seems hopeful that the developer will deliver on promises of extra features and bug fixes, commenting on features that made the original games special (e.g. multiple paths to victory). Some say this game bears more similarity to the original MOO instead of MOO2 (which seems to be more of a fan favourite). So purchasing the game at the moment does seem to be a gamble. It really depends on whether you think those that have written the negative reviews are a bunch of whiners that are not judging the game on its own merits (think Civilization: Beyond Earth when it came out and players making comparisons with Alpha Centauri) or maybe the ones giving positive reviews are all pollyanna-like apologists. If I end up getting the game, I'll be sure to let you know how I go! 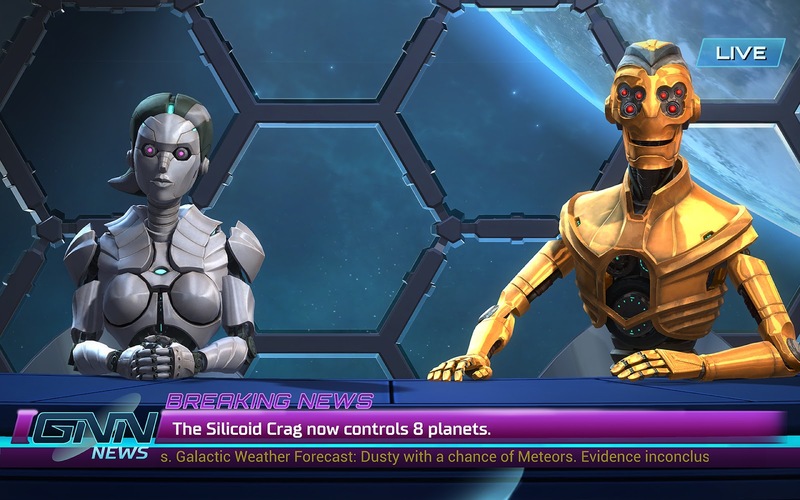 Master of Orion: Conquer the Stars is available digitally from Steam and GOG. You can get the game for $29 USD (which is about $38 AUD) on Steam and the Steam version comes with Trading Cards, Achievements and Steam Leaderboards. The GOG version is slightly cheaper at $33.99 AUD and is DRM-free.